Let’s be honest, Google is the best search engine available today. Period. That said, we also can’t ignore the privacy issues that come with it. Google tracks your searches, your search patterns, and stores a profile of you on their server. While I’m okay trading off my privacy for better search results, but when I’m using the incognito mode, I prefer to keep my searches private. One easy way out is to start using two different browsers, with Google and DuckDuckGo set as your default search engines. But that’s just to much work. 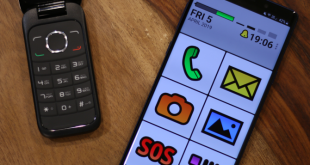 In general, an ideal solution would be – using Google in the default mode and DuckDuckGo (or any other privacy focus search engine) in the incognito mode. But none of the browsers inherently support two default search engines. So, we need a workaround and here’s my hack on how to do it. The simplest way to do this is by creating a bookmark for DuckDuckGo. When you have to switch to Incognito just right click on the bookmark and click “Open in Incognito Window“. Doing this will open an incognito window with DuckDuckGo as the search engine. But creating a Bookmark and then right-clicking it involves 3-clicks which are not feasible every time. How about, if you could just trigger incognito mode when you type the URL. Incognito Regex is a chrome extension which lets you filter out websites for Incognito mode. If you type the website name it will open it in Incognito mode. All you have to do is, make an entry in the extension. To get started, download the extension, click on Options. This opens a new tab. Here you need to enter the website you want to filter. When you load the mentioned site, it will automatically open in the Incognito mode. For our case, we will enter duckduckgo.com. Now, when I type duckduckgo.com and as soon as the page loads, it will pop out and open in Incognito mode. 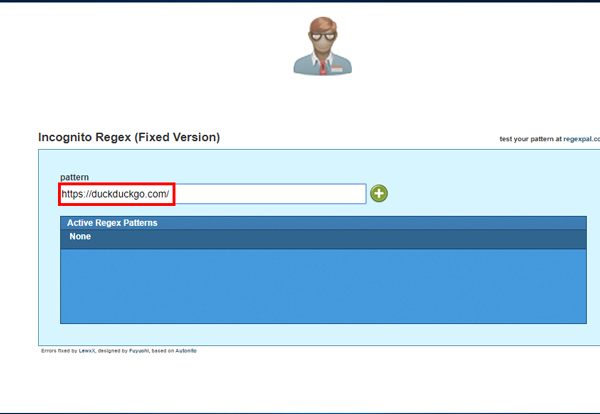 There are numerous possibilities with Incognito Regex and you can filter a set of websites to open in Incognito mode. Now like most of you, I try to do most of my work through hotkeys. This requires minimum effort and I don’t have to take my fingers off the keyboard. 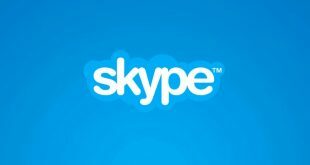 This one is the best way out as it doesn’t require you to download any apps. The only caveat is, it works only for Windows. 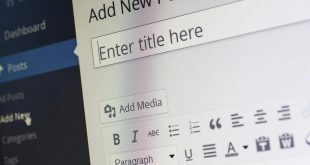 First, create a Google Chrome shortcut on the desktop. To do that, go to C:\Program Files (x86)\Google\Chrome\Application and locate the Google Chrome.exe file. Right click on it and select Create Shortcut. Windows will prompt you to place the shortcut on the desktop instead, click on Yes. Now. 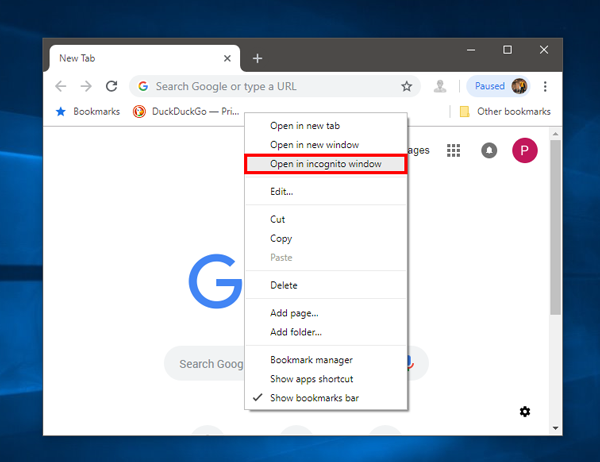 this desktop shortcut will trigger Google Chrome and we need to modify it so it opens Incognito every time. Open the Properties and on the Shortcut Tab, append the following to the text in the Target textbox. 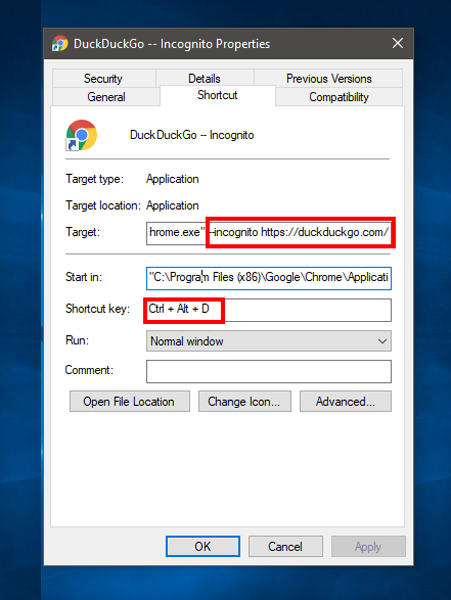 Appending –incognito means that Google Chrome will open in incognito mode with the webpage at https://duckduckgo.com/. Now, I want to trigger this shortcut with a hotkey and to do so edit the Shortcut option with Ctrl+Alt+D. Now, from any screen, if I press Ctrl+Alt+D, it will open Google Chrome in incognito mode with DuckDuckGo as the search engine. 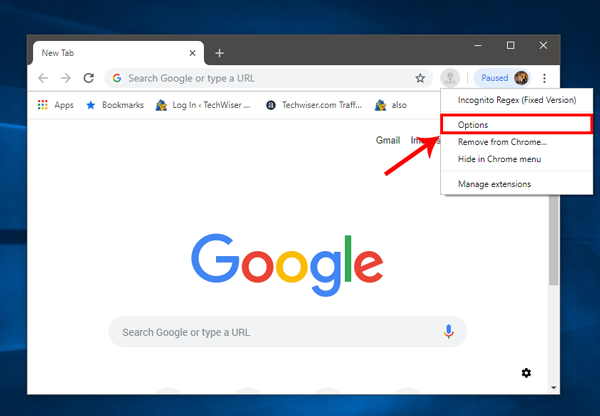 Alternatively, you can also set the keyboard shortcut to CTRL+SHIFT+N, which will override the shortcut to launch incognito mode on Google Chrome. This makes me switch search engine on the go seamlessly. So, I get to use Google in the default mode and switch to DuckDuckGo in the Incognito mode without any hassle. Since, this trick doesn’t require any 3rd party apps, you can use this for any browser. For Edge or Mozilla Firefox or Opera, you have to append the following in Target textbox. Add a shortcut and it just works the same as Google Chrome. You can’t really have two default search engines on any browser unless this feature is provided by the browser itself. This workaround works as a hack for it and you get the best of both the worlds meaning — the accuracy and efficiency of Google Chrome in normal mode and privacy of DuckDuckGo in the Incognito mode. For any queries or issues, write in the comments below.